MOSCOW, May 22. /TASS/. 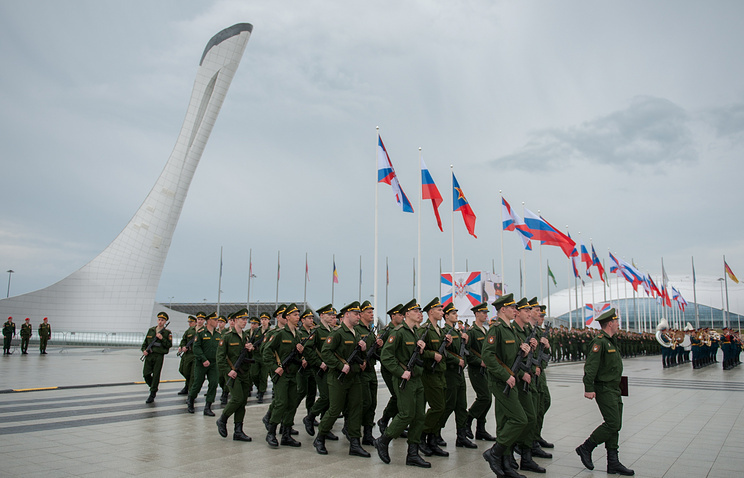 The third edition of the recently introduced Winter World Military Games, organized by the International Military Sports Council (CISM), will be held in Russia’s Black Sea resort city of Sochi in 2017, a Russian military sports official said on Friday. Sergey Vlasov, the chief of Russia’s Central Sport Club of the Army, said the decision in favor of Russia’s hosting the international winter championship was made on Friday at the 70th General Assembly of the CISM in Kuwait. "Russian Defense Minister Sergey Shoigu was personally behind the bid for hosting the tournament at the Olympic facilities in Sochi," Vlasov said adding that the Winter World Military Games would be held in Sochi between February 22 and 28. The program of the 2017 Winter World Military Games includes a total of eight competitions in biathlon, cross country skiing, alpine skiing, ski orienteering, ski-mountaineering, patrol, climbing and short track. At least 60 countries are expected to put forward over 4,000 athletes to represent them in personal and team competitions of the 2017 Winter World Military Games with 36 sets of medals (gold, silver and bronze) up for grabs. Established in 1948 CISM organized first-ever Military World Games in 1995 and they involved summer competitions. The Winter Military World Games were first held in Italy’s Aosta Valley in 2010 and then in French Annecy in 2013. Russia’s southern city of Sochi boasts a number of up-to-date sports facilities, both in the coastal and the mountainous areas, ready to host winter sports competitions at a global level. In February and March of 2014 the Black Sea resort city of Sochi hosted Winter Olympic and Paralympic Games, which, according to international sports officials, athletes and visitors, were organized at the highest level possible and provided up-to-date infrastructure at all levels as well as security for all participants in the event.